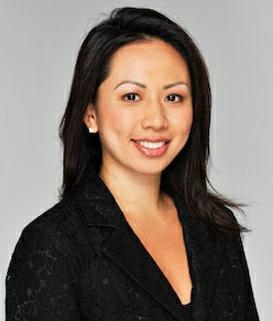 Eileen Hsu and Catherine Jin are Chinese Speaking Real Estate Agents in Manhattan New York. We are full time Real Estate agents, bilingual in English and Mandarin Chinese and have helped many Chinese speaking Buyers purchase condo investments in Manhattan New York. 大家新年好, 我是Eileen Hsu 許雅嵐, 你也可以稱呼 我Eileen. 我是在曼哈頓做地產的經紀人 (Chinese Speaking Real Estate Agent). 今天我們談一談父母親幫孩子買房子有什麼幾點要注意的. 第 一點是, 紐約這邊的房員有百分之八十五是合作公寓, 如果您在網上看到的話就是叫做coop. 另外一種是condo. 那condo是什麼呢? Condo的話,就是有產權的房子. 有產權的房子對我們華人來講是比較方便的, 因為可以自由的出租或者說是轉賣, 不需要委員會的同意或者批准, 只是有些表格要填, 讓他們通過而已. 那如果我們今天要來買房子, 幫孩子買, 大部分的華人是買condo的. 因為這樣子如果孩子以後就職在別州或者是離開紐約, 可以當作一個投資的機會來出租. 今天您如果要在這裡投資, 或著說幫孩子買房子, 請您跟我來電, 我們可以詳細的談, 我的電話是646-644-6929. 也可以麻煩您打個e-mail給我 我會馬上給你們回電好嗎 謝謝! This entry was posted in Manhattan NY Neighborhoods, Video Blogs and tagged Chinese Agent, Chinese Real Estate Agent, Mandarin Speaking Agent on April 3, 2012 by eileenhsu. We have an international clientele from all over the world, many of them refer NYC condos or apartments as ‘flats’. Buyers from United Kingdom, Ireland, Australia, Singapore, Malaysia, Hong Kong and few other countries often would use the term ‘flats’ for these condo units. We as Manhattan Real Estate property agents and bilingual in Chinese and Mandarin language, we work with many international foreigners Chinese buyers wanting to buy a NYC flat or flats. Our job is to educate buyers about our unique Manhattan housing market before their arrival, discuss what they have in mind, type of NYC flat they prefer, and the price range they would like to spend. Based on their initial criteria, we can then recommend them the best strategy and process to go about their purchase for NYC flats. When foreigner plans to buy an NYC Flat, they often have a list of common questions, we have compiled a list to better inform them. Here are part 1 of the questions and answers. Can Foreigner-international Chinese buyer buy a NYC flat without having United States Social Security Number or United States residency? Yes, foreigner-international buyer can legally buy a NYC flat, but have to meet the NYC Condo board’s requirements for approval. At the sale of the real property, Non-resident aliens (foreigners) are subject to federal withholding tax at 10% of the gross sales price, and to a 8.97% New York State estimate income tax on the net sales proceeds (gains). Can Foreigner international Chinese buyers with work visa or student visa buy NYC flats? Yes, foreigner-international buyer can legally buy a NYC flat, but have to meet the condominium/coop board’s requirements for approval. There will be credit check, some application information buyer has to provide. We will work closely together with the buyer and the building management to fulfill those requirements. 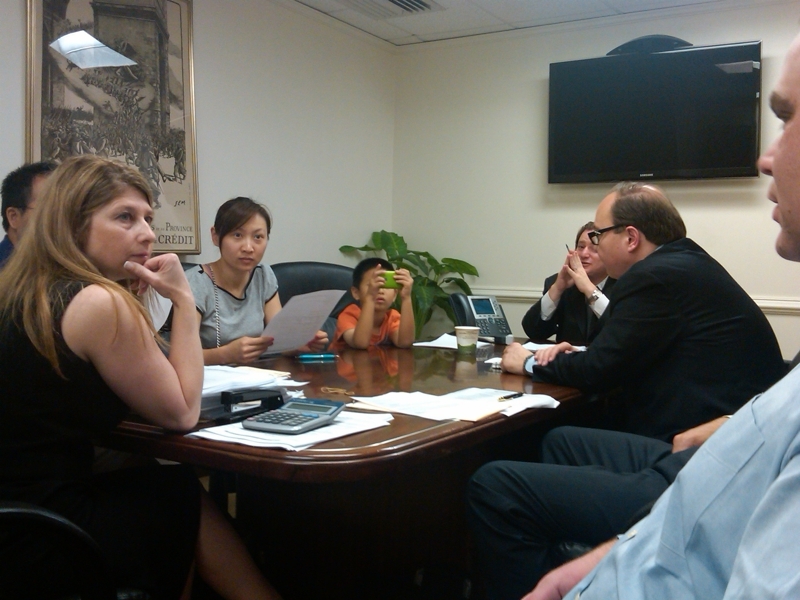 Can Foreigner international Chinese buyers obtain United States mortgage financing? 9 out of 10 of our foreign international buyers prefers to purchase the NYC flats with all cash. It is very difficult for Foreign international buyers to apply for an US mortgage in today’s market place, it is advisable if possible for the buyers to obtain financing options in their home country and buy it all cash here in Manhattan New York. If you absolutely need financing, please contact us directly so we can discuss the possible options. As experts in working with Foreign National Chinese buyers and out of town Chinese speaking buyers, we are constantly educating the buyers and addressing the misinformation and false assumptions that client bring from his/her home town/country, and culture in order to explain the options, alternatives, and their consequences. Contact us by clicking this link. https://chinesespeakingagent.com/contact/ .We can discuss the options of your specific needs and time frame. Thank you. 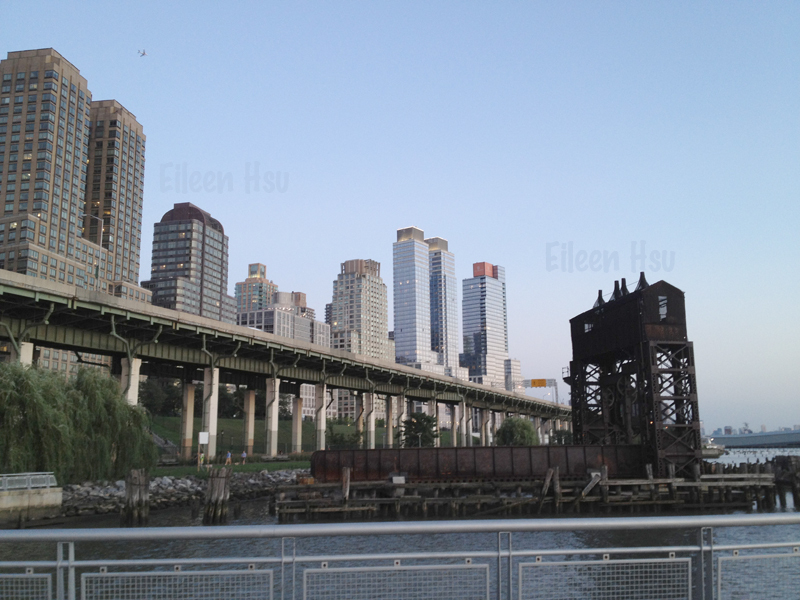 This entry was posted in Featured Property, Manhattan NY Neighborhoods and tagged Chinese Speaking Real Estate agent, Foreign buyer, Foreigner on March 3, 2012 by eileenhsu. 大家新年好, 我是Eileen Hsu 許雅嵐, 你也可以稱呼 我Eileen. 我是在曼哈頓做地產的經紀人 (Chinese Speaking Real Estate Agent). This entry was posted in Central Park - Upper West Side, Fifth Avenue - Midtown East, Financial District - Lower Manhattan, Manhattan NY Neighborhoods, Video Blogs and tagged Chinese Speaking Agent, Mandarin Speaking Agent on February 8, 2012 by eileenhsu. 還 有第二點是時間上的關係, 如果說今天您是, 現金買 成交最快也是要四十五到六十天, 四十五天是最快的, 如果你們今天錢已經準備好了在銀行在美國的戶頭. 如果說今天是要貸款, 貸款的話時間就不能掌握了! 因為現在紐約貸款是非常非常的麻煩, 除了貸款人自己要有資格, 第二點銀行還要審核每棟樓,每棟樓都要經過銀行的同意,或者是批准才能借錢. 像過去兩三年前, 只要是您要借款, 你要借錢 ,銀行就願意借給你. 現在是銀行非常的保守. 所以說如果要借款的話, 大慨是九十天到一百六十天都有. 還有一點是, 如果說今天您在紐約, 如果說是有特別的定點要買房子. 其實, 紐約的房員, 其實我們是要注意看百分之十五的房員, condo 紐約這種的房源也不多. This entry was posted in Manhattan NY Neighborhoods and tagged Chinese Speaking Agent, Mandarin Speaking Agent on January 4, 2012 by eileenhsu. 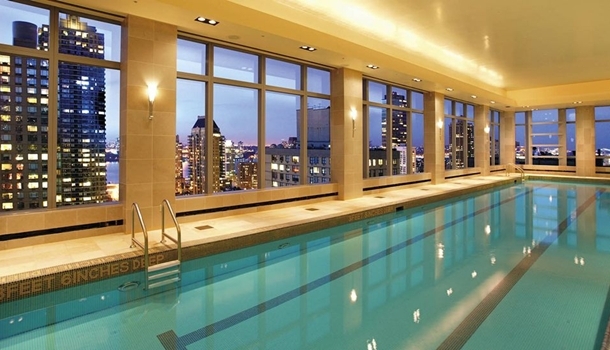 The Vanderbilt Condominium at 235 East 40th Street is one of the most well established and highly desired full service condominium buildings in the Midtown East neighborhood. Located on 40th Street between 2nd and 3rd, within a very short distance to both Grand Central Station and the United Nations. The Vanderbilt Condominium is one of the most conveniently located condominium buildings with close proximity to the midtown business district but also a number of neighborhood establishments. Built in 1986, the Vanderbilt Condominium at 235 East 40th Street is a tall building at 41 floors with over 365 residential condominiums. This full time doorman and concierge building has an amenity package that rivals any other Midtown East condominium building in the neighborhood. Called the Vanderbilt Club, the lower level of the building has a 75 foot long pool, sauna, jacuzzi, fitness club, basketball/racquetball court, both mens/womens locker rooms, table tennis and all attended by building staff. The Vanderbilt Condominium is a full service building, with 24 hour hour attended lobby with doorman and concierge, attended package room and live-in super. There is a full size laundry room and garage that can be accessed from within the building. The Vanderbilt Condominium is one of the most desirable condo buildings in the Murray Hill neighborhood for a number of reasons. The location near both Grand Central Station and the United Nations makes this highly valuable for the owners in the building Located at 235 E 40th Street, this is one of the premiere Grand Central Station Condo buildings. And because of the desirability of the Vanderbilt Condominium there is always a healthy number of sales occurring every year. As the end of 2011 is right around the corner here is a market report of what has sold in the building this past year and what is available. Currently for sale on the market there are Four(4) One Bedroom Apartments asking a range of $675,000-829,000. The size of most of the apartments and different degrees of renovation along with lower to higher floors accounts for the fluctuation in pricing. The higher floor One Bedroom apartments for sale at 235 East 40th St, typically have 1.5 bathrooms also increasing their value. There are a number of apartments in contract right now that will probably close in the next couple of months. So far in 2011 there have been approximately 13 closed sales. There is a possibility that there were more sales than that between individual owner’s or properties that never came on the sales market, but we will get a good evaluation of pricing for 2011. Studio’s-Two Studio’s sold so far in 2011 ranging in price of $385,000-$390,000. Those prices reflected original condition apartments that needed renovation, lower floor units. One Bedroom’s-Nine (9) One Bedroom apartments have sold so far in 2011. The price range was wide, ranging from $585,000-$875,000. The wide range is accounted for because of a varying degree of size, view and condition for each apartment. Two Bedroom’s-Two (2) Two Bedroom apartments have sold in 2011. The price range was $1,235,000-$1,370,000. For such a big building as the Vanderbilt Condominium, having 12-15 apartments sell in 2011 is a healthy number. That only makes up about 4% of the total inventory. All in all that is fairly low. Something to consider is how long each apartment stays on the market, typically once it is priced within a fair market range it will sell very quickly. For a comprehensive and up to date list of the condos for sale at 235 East 40th St contact us today. We have sold a number of apartments at The Vanderbilt Condominium so far in 2011 and can help you finding an apartment for sale in the building or helping you sell it. Call us at (917) 837-8869 if you would like to speak with us. Vanderbilt Condos at 235 East 40th Street is one of the most desired Grand Central Station condos buildings. Whether you are looking to invest, rent, or live Vanderbilt Condos could be the location for you. 中文服务,专售纽约曼哈顿康斗 (646)644-6929. 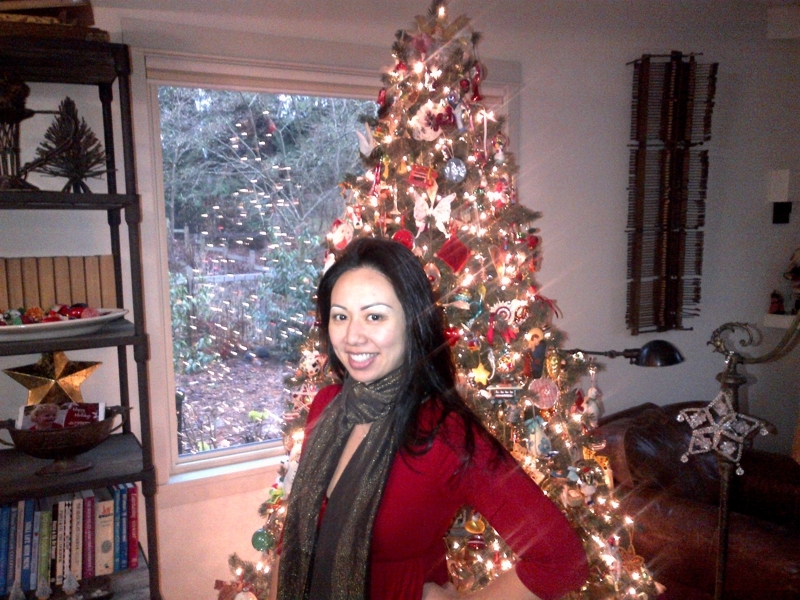 This entry was posted in Fifth Avenue - Midtown East and tagged 235 East 40th Street on December 7, 2011 by eileenhsu. 80 John Street commonly known as the South Star Condominium is a condominium building located in the Financial District. Located on John Street between Gold and William Street, it is conveniently located in the emerging residential neighborhood that is the Financial District. 80 John Street was originally built 1927 in the art deco architectural style. It was converted from an office building to a residential rental building in the late 1990’s and then converted from rental to a condominium building in 2007. This combination of pre-war architecture with today’s high end conversion style has created a very desirable building. The South Star is a full time doorman building, there is a fitness room, live-in super, and garage facilities within the building. The building has 5 set backs creating a unique exposure and layout characteristic for many of the residences. The apartments themselves have a lot of unique characteristics including high ceilings, typically ranging in size around 10 feet 6 inches, various layouts that are extremely spacious, along with high end finishes. The apartments have wide planked Brazilian hardwoods, individual climate controls, large windows, and luxury appointed kitchens and bathrooms. The kitchens have cherry cabinetry with granite counter tops. The appliance package includes Sub Zero, Bosch and GE stainless steel appliances. The bathrooms include custom designed vanities, floor to ceiling imported tile, under mounted sinks and interior designs. The building was converted in 2007 and there are some re-sale units on the market with a combination of different layouts. We also have other condo available in different buildings in Financial District if you are looking to purchase a home in this neighborhood. Contact us now so we can discuss how you can find the right home for your needs and time frame. This entry was posted in Financial District - Lower Manhattan and tagged 80 John Street, South Star on December 7, 2011 by eileenhsu. 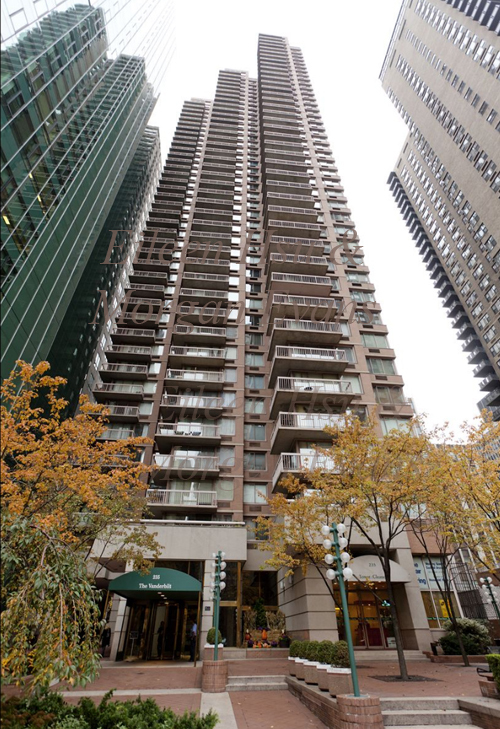 30 West 61st Street New York New York 10023 – JUST SOLD, Studio apartment $480,000. We work with many parents buying for Children for young adult son or daughter that either go to school here in NYC or work in NYC. 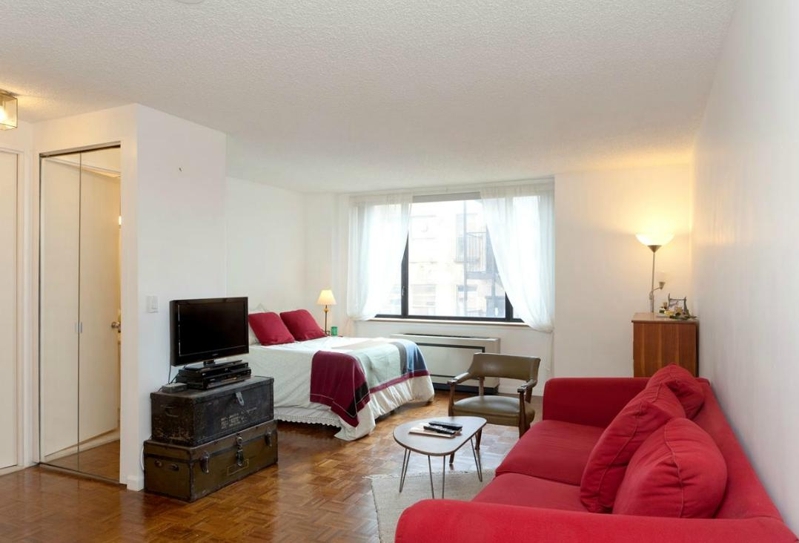 This studio apartment is perfect for that purpose or an investor who is looking to park their cash in Manhattan New York Real Estate. This studio apartment has South facing sunny exposure, open kitchen, plenty of closet space, it is perfect for someone who loves Upper West Side, or work/go to school near the neighborhood. The Beaumont Condominium is a fantastic Condo building in the heart of the ever growing Lincoln Center and Columbus Circle community. 30 West 61st Street is a 31 story brick building, with 166 units including studios – 3 BR’s and 5 penthouses (each with its own roof top decks and fireplaces). The building has 24 hour Doorman, Concierge, and a Superintent in the building. Laundry machine on each floor, the parking garage (separate monthly fee) is in an adjacent building, and there is a green landscaped courtyard for building residents to enjoy. Here is a youtube video on the wonderful neighborhood of Lincoln Square in Upper West Side Manhattan New York. This apartment is sold, but we do have other studios or apartments very comparable to this studio. Call us today at (917)837-8869 so we can discuss in detail what you are looking for and find the perfect fit for you. Call 紐約地產經紀 Eileen Hsu 許雅嵐 today at (646)644-6929 so we can discuss in detail what you are looking for and find the perfect fit for you. 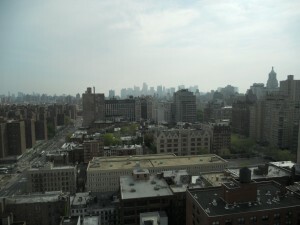 This entry was posted in Central Park - Upper West Side and tagged 30 West 61st Street on December 7, 2011 by eileenhsu. This entry was posted in Manhattan NY Neighborhoods and tagged Chinese Real Estate Agent, Chinese Speaking Real Estate agent on September 15, 2011 by eileenhsu. This entry was posted in Central Park - Upper West Side, Manhattan NY Neighborhoods and tagged Chinese Real Estate Agent, Chinese Speaking Agent, Chinese Speaking Real Estate agent on September 15, 2011 by eileenhsu. Eileen Hsu, Mandarin Chinese Speaking Real Estate agent in Manhattan New York explain the difference between condominium and cooperative housing supply of New York city. Eileen Hsu and her team specialize in assisting many Chinese in US and Oversea in Purchasing Manhattan New York Real Estate properties. This entry was posted in Financial District - Lower Manhattan, Video Blogs and tagged Chinese Real Estate Agent, Chinese Speaking Agent, Chinese Speaking Real Estate agent on August 31, 2011 by eileenhsu. Riverside Boulevard is the location of the Trump Park Buildings and now the Extell Development Buildings in the Upper West Side. Not to be confused with Riverside Drive which starts at 72nd St and goes north, Riverside Boulevard starts at 72nd St and goes SOUTH. Right now it end at 62nd St, but will be lengthened as new development, specifically the Riverside South development project begins. complicated and massive development deal. The area was originally a freight rail yard owned by New York Central Railroad. Also complicated the development was the West Side Highway, which had to be buried for a certain amount of road. After decades and many different configurations the project finally came to some fruition as a number of hi-rise condominium buildings were built under the Trump Place name and the Riverside Boulevard address was born. Riverside Blvd is home to the Trump Place buildings and now a number of Extell development buildings including The Rushmore and the new condominium the Aldyn. There is still southern expansion of the area that is going to be the home of more condominium building’s along with planned parks, school, retail and community involvement. Some of these buildings include 240 Riverside Blvd-The Heritage at Trump Place, 200 Riverside Blvd, Trump Place at 120 Riverside Blvd, 100 Riverside Blvd-The Avery, 80 Riverside Blvd-The Rushmore and 60 Riverside Blvd-The Aldyn. This entry was posted in Central Park - Upper West Side, Featured Property and tagged Riverside Blvd, Riverside Park on August 31, 2011 by eileenhsu. Central Park Apartments with terrace Have you been looking for a Central Park Condo with a terrace or outdoor space? There are very few buildings that have that rare of all Manhattan condominium features, your very own outdoor space. Having your very own private terrace or balcony is a highly desirable feature. To begin with, there are very few condominium buildings that directly face Central Park. Now add in the combination of having outdoor space and you are looking at a very limited section of the market. To get a Central Park view, you either have to live in a building that directly faces Central Park, such as Fifth Avenue on the Upper East Side, Central Park South, or Central Park West on the Upper West Side. Or you need to find a condominium building that is tall enough to clear the buildings in front of it and still see Central Park, a building like 101 West 67th Street-The Millennium Tower, 25 Columbus or 60 Columbus Circle at the Time Warner Center, 1 Beacon Court or 721 Fifth Avenue, or the Park Imperial, just to name a few. The general room of thumb is that the higher the floor in a building, the more than likely you will not have accompanying outdoor space. Can you imagine being 60 stories up with a huge outdoor terrace? To find a Central Park Condo with a terrace, you will probably have to live on one of the exclusive avenues facing Central park directly. A few examples of Central Park condos with terrace’s could be found at a building such as 160 Central Park South-The Essex House or 15 Central Park West, 279 Central Park West, on the Upper East Side at 1212 Fifth Avenue and other select Fifth Avenue Buildings. Expect pricing to be quite specific to each building. Any apartment with direct Central Park views is not priced like other apartments that might be similar in size, they are priced and compared to other Central Park facing condos. and want to save on price then moving to a taller building that still has unobstructed views of the park is a great option. There will be more selection, compared to a search with outdoor space. Overall, a search for Central Park Condos with a terrace will include some of the most exclusive apartments in all of Manhattan, having your very own apartment facing Central park is well worth the investment. Contact us (https://chinesespeakingagent.com/contact/) or call (646)644-6929 directly to discuss what exactly you are searching for in terms of the Central park apartment with terrace. These apartments are one of the kind and not always available, we can start the conversation early and we will put you on the list to contact as soon as one becomes available if they are not currently on the market. 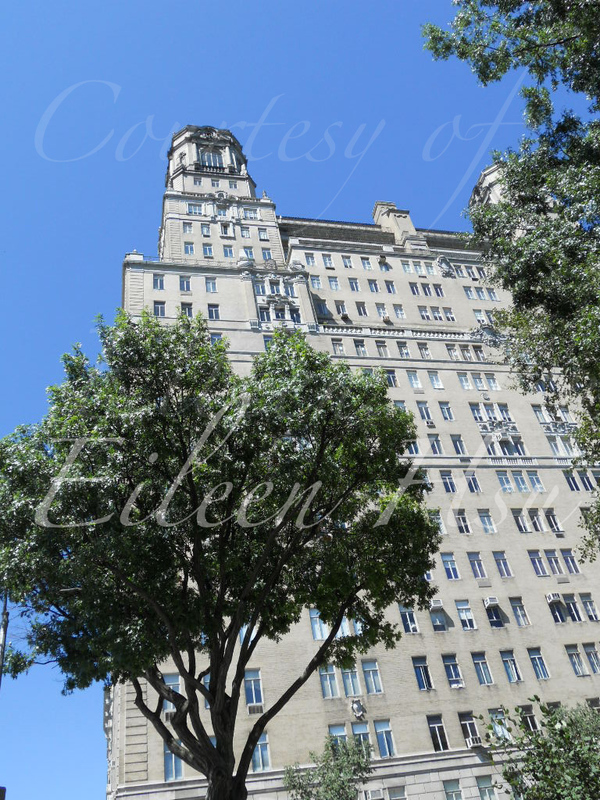 This entry was posted in Central Park - Upper West Side, Featured Property, Manhattan NY Neighborhoods and tagged Central Park Condos, Fifteen Central Park West on August 31, 2011 by eileenhsu. I am a Chinese Speaking Real Estate agent in New York, myself and my team are fluent in Mandarin, Shanghainese, and other Chinese dialects. We often helped many buyers from out of town such as New Jersey, California, Vancouver, or out of the country buyers from Hong Kong, China, Taiwan and other countries to find their perfect Real Estate investment. As a Chinese speaking Real Estate agent here in New York, I receive many phone calls from buyers who are buying for their children who are in New York for work or school. We are able to help them identify the best investment for them by educating them about the unique Manhattan market place, evaluate what is important for them, understand the purpose of buying in Manhattan New York. Today, another successful transaction has been closed. In this transaction, myself and my team represent the buyers who seeked out for a knowledgeable and experienced Chinese Speaking Real Estate agent. It is always a fantastic day when the buyers are happy with their purchase, it makes the hard work worth it. Here is a photo of everyone at the closing table today. Happy Buyers with their child, Sellers, and their perspective attorneys. 我是許小姐Chinese Real Estate Agent in New York,曼哈頓房地產的專家，我幫助了許多中國和亞洲人為他們的孩子在紐約購買曼哈頓房地產.曼哈頓房地產是於世界上任何其他地方或國家不同,也於其他美國州不同. Chinese Real Estate Agent in New York 購買紐約曼哈頓公寓作為家長為孩子買，你應該與貸款顧問,會計師,曼哈頓房地產律師討論購買程序。會計師：如果你正計劃共同購買的公寓與您的孩子，一定要討論可能的稅務並發症則可能是你的會計師。您的發言之前，您購買的會計師可以是非常有益的。 許小姐Chinese Real Estate in New York 購買紐約曼哈頓公寓作為父母為子女購買，經驗豐富的曼哈頓公寓的專家來指導您完成這一進程，並瀏覽了曼哈頓房地產迷宮。無論你是首次置業，或投資者，購買和出售的多個屬性在其他地區或國家的美國，我們可以提供幫助。了解當地市場與市場專家能最大化您的投資，並避免任何可能發生的問題作出的規則。我們的許多客戶是第一次來的投資者，他們買了許多曼哈頓公寓的。如果您想購買曼哈頓房地產，現在與我聯繫（646)644-6929 許小姐. 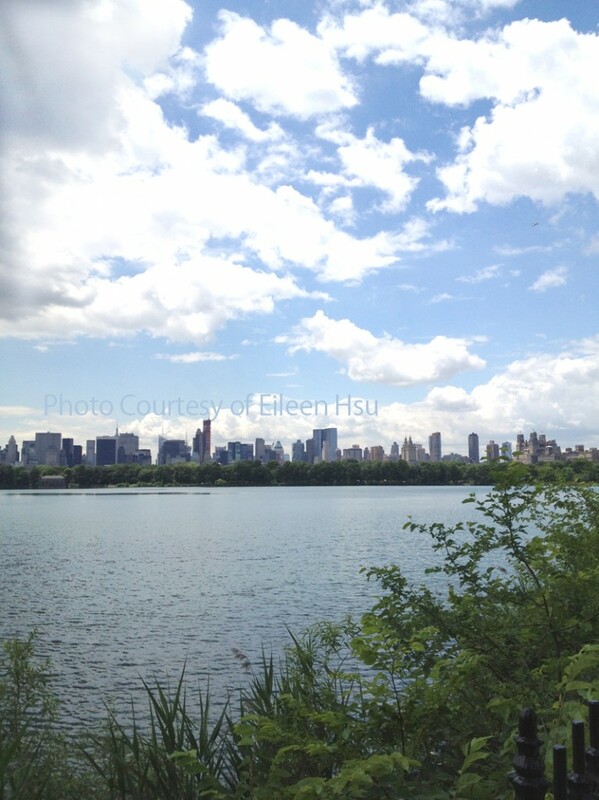 This entry was posted in Central Park - Upper West Side and tagged Chinese Agent, Chinese Real Estate Agent, Chinese Speaking Real Estate agent, Eileen Hsu on June 10, 2011 by eileenhsu.